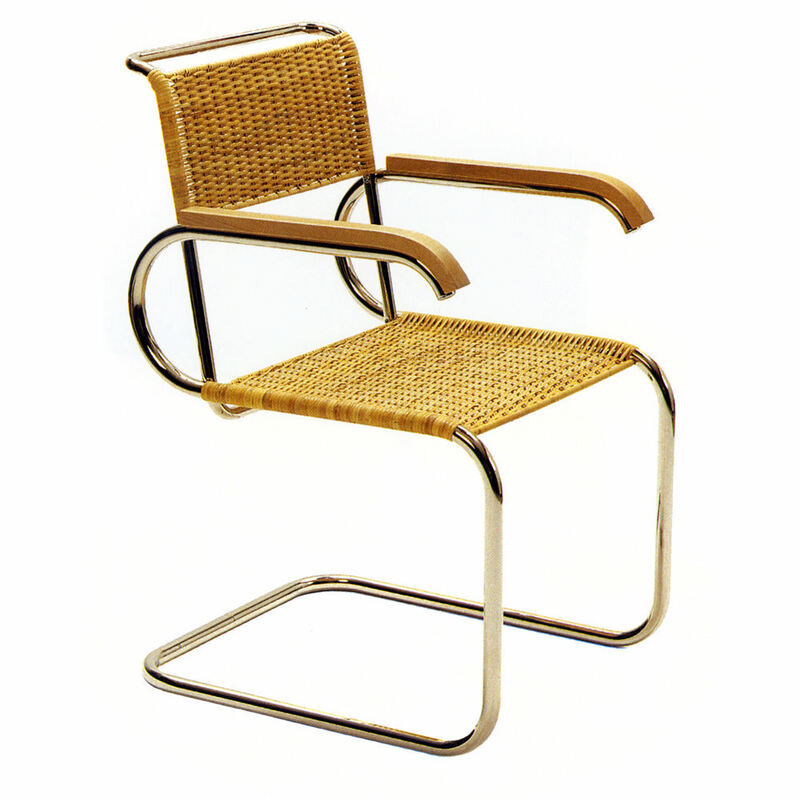 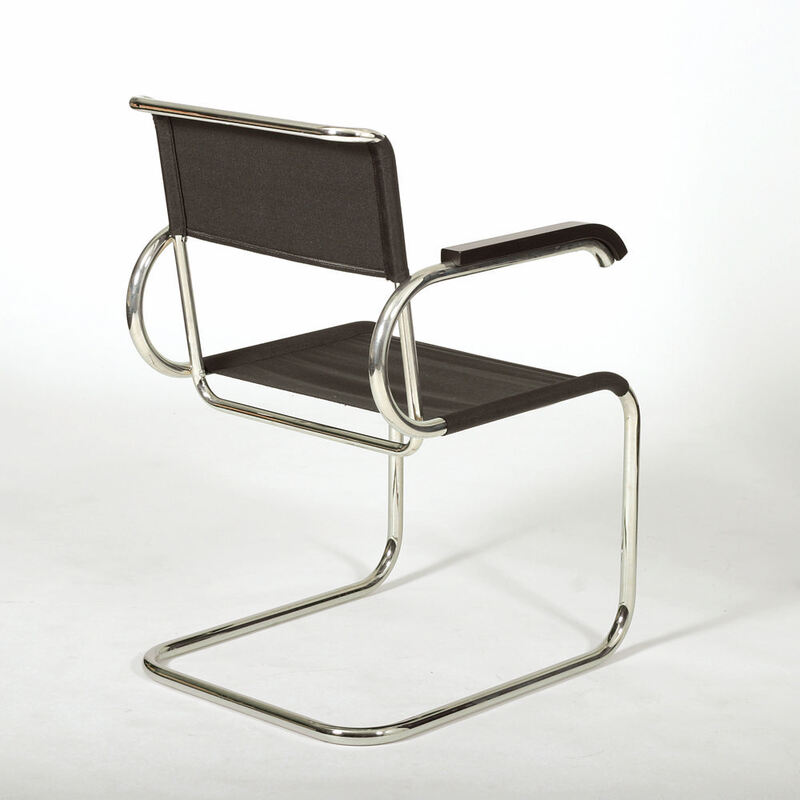 Armchair in nickel plated steel tube. 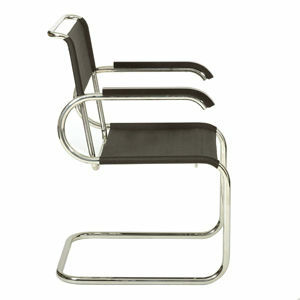 Seat and back in black Bauhaus iron yarn or black hide leather. Armrests in black or natural beechwood.